It is not certain whether or not Chipper will sign personal items other than his book but fans wishing to have an outside item autographed may want to bring it but be prepared for only books to be signed. 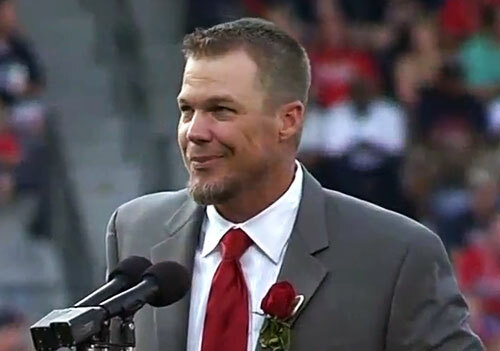 Chipper Jones is a former MLB third baseman, left fielder and switch hitter who played for the Atlanta Braves in 1993 and from 1995 to 2012. Jones is a World Series champion for 1995 plus he an eight-time All-Star for 1996, 1997, 1998, 2000, 2001, 2008, 2011 and 2012. Jones was MLB batting champion for 2008 and was named National League MVP for 1999 plus he is a two-time Silver Slugger Award winner for 1999 and 2000. The Atlanta Braves retired Chipper Jones’s number 10 in 2013. Sports Speakers 360 is a booking agent for pro athletes. If you would like to book Chipper Jones for a speaking engagement, appearance or endorsement, contact a Chipper Jones booking agent for fees at 1.855.303.5450.